Phoenix is a strong old school rock album with one foot rooted firmly in the past. While it has a timeless feel to it, I couldn't help feeling nostalgic... and I don't know why. 'Yellow Bike' is probably the biggest culprit for dragging my thoughts back to the '80s/'90s. 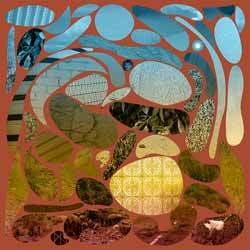 Over the course of this LP's 13 songs (45 min, 03 sec) Bazan delivers engaging track after track. It's hardly a surprise, he's been doing this for so long that he's pretty much mastered it at this point. From time to time I caught a slight vibe of Cheap Trick, which made me smile, as well as love the album more. This is a release that's best heard from start to finish in the order the tracks are presented. There's no stand out rock style anthem, as such, just some great songwriting that gets better the more times you listen to it. Old school rockers will totally fall in love with Phoenix.